March 15, 2017 /Photography News/ Photojournalist Barat Ali Batoor was living in Afghanistan — until his risky work forced him to leave the country. 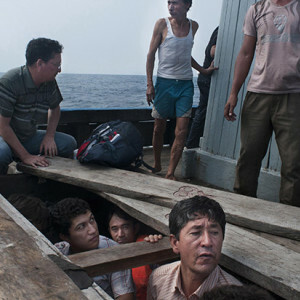 But for Batoor, a member of a displaced ethnic group called the Hazara, moving home to Pakistan proved dangerous too. And finding a safer place wasn't as simple as buying a plane ticket. Instead, he was forced to pay a human smuggler, and join the deadly tidal wave of migrants seeking asylum by boat. He documents the harrowing ocean trip with powerful photographs.